The great blizzard of 2011 has officially hit Chicago as this photo shows. 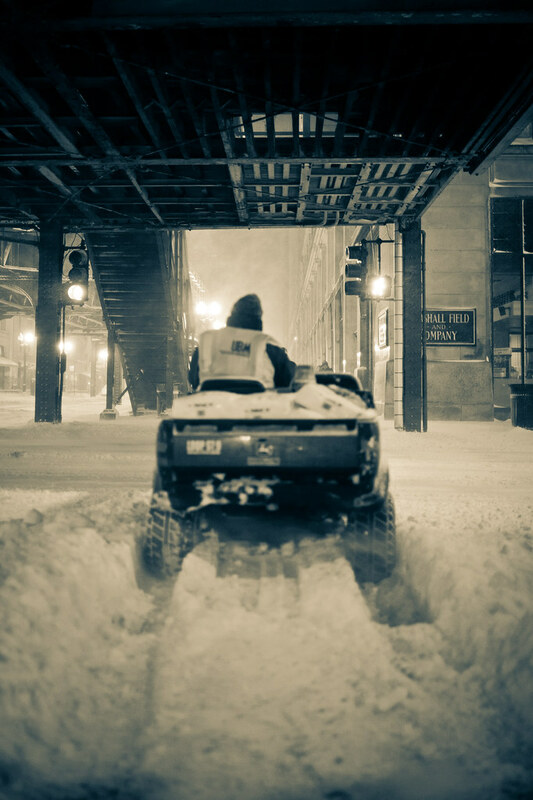 After scanning through some National Weather Service reports from around Chicago there are plenty of reports of 18 inches of snow and 6-8 foot drifts. Impressive to say the least and this John Deere Gator making its way past a Marshall Field's store shows just what Chicago is up against.